I've had these photos saved on my computer and Pinterest for some time and every time I see them, I want to try this cool ombre effect. I know ombre is getting old, but who cares, the pop of colour at the ends is fun! 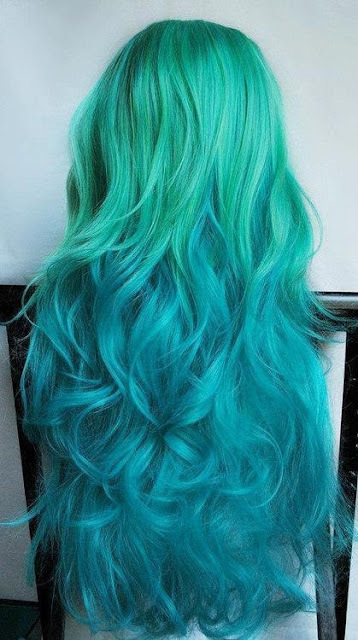 Can we just take a moment to admire how gorgeous this turquoise is? My biggest fears are how it would look on my texture hair and with my skin tone... But I still love it! Is my hair even long enough for this? I would love to do something like this with just the ends though. Not my entire head. 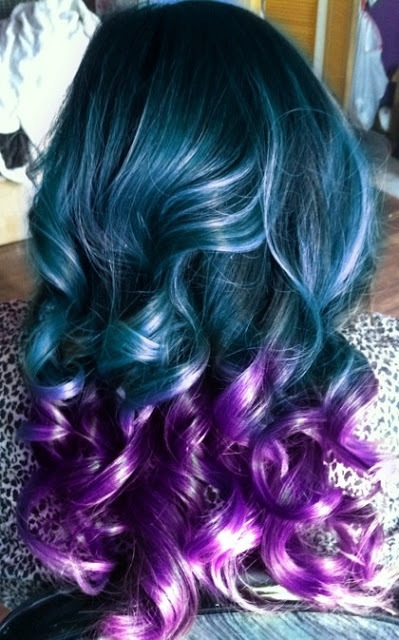 Maybe mix the ombre, so I have a bit of violet and a bit of turquoise like that. Hmm, so tell me what you think. Could I rock these bright, crazy colours? Would you? I came across your blog today. Just wanted to drop in to say hello. I've enjoyed reading your posts.